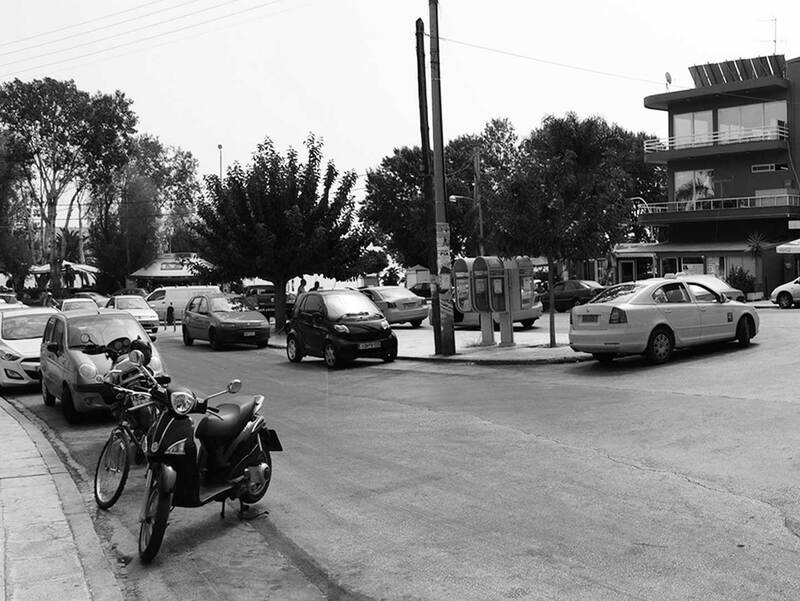 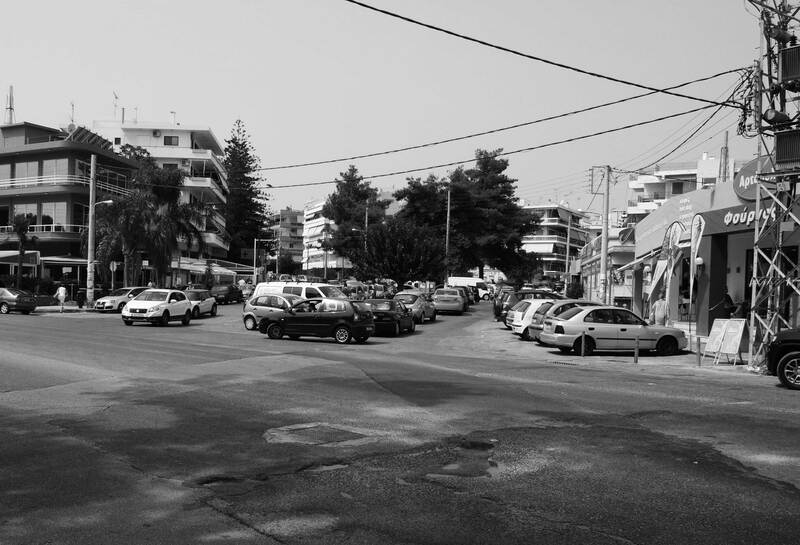 Currently the Varkiza square is an unpleasant and hazardous urban site, full of parked cars and trucks and pedestrians trying to make their way through. 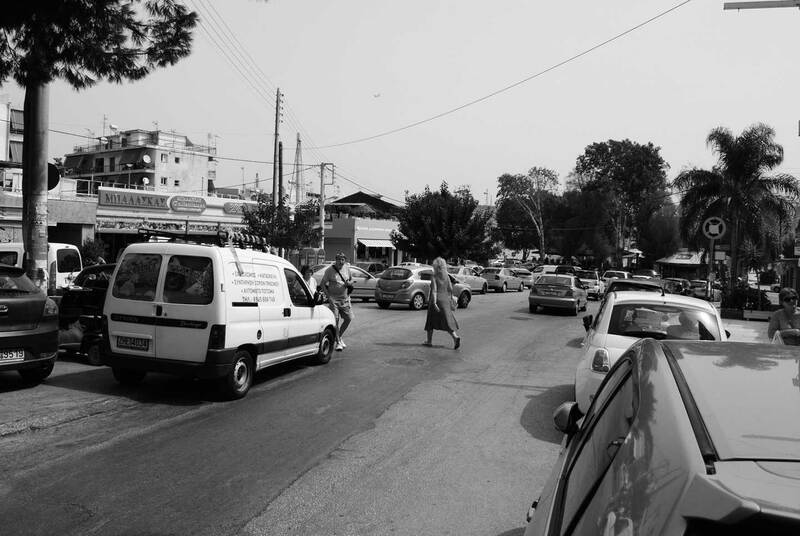 It is clear that its present spacial arrangement cannot meet the needs of the local population. 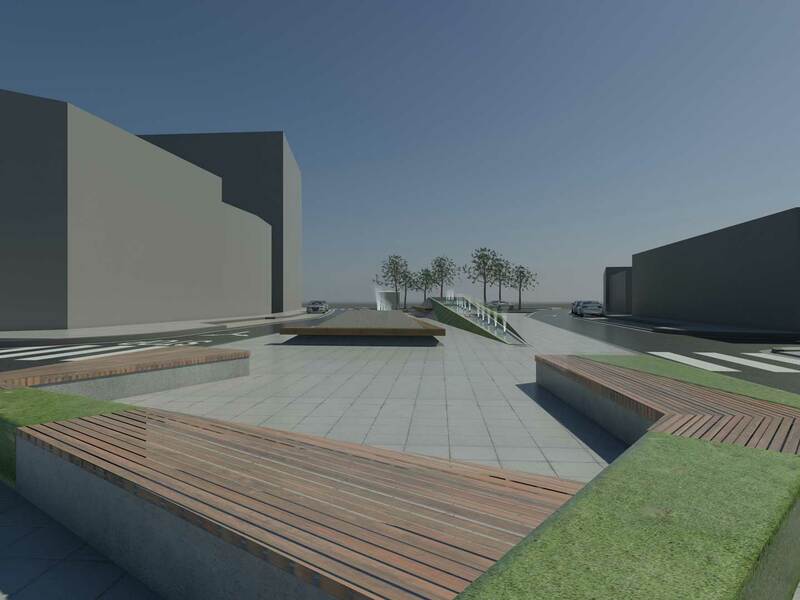 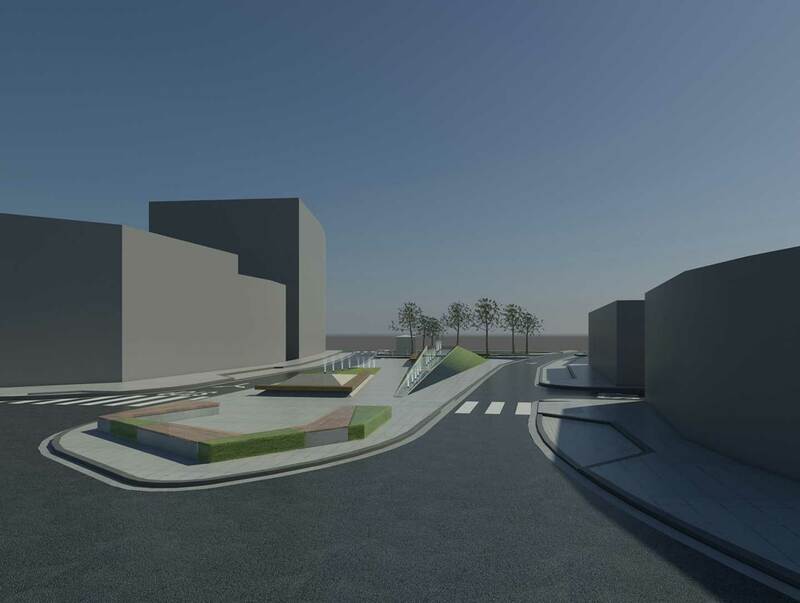 Our urban design proposal envisages the installation of two raised pyramids with water-features on the square. 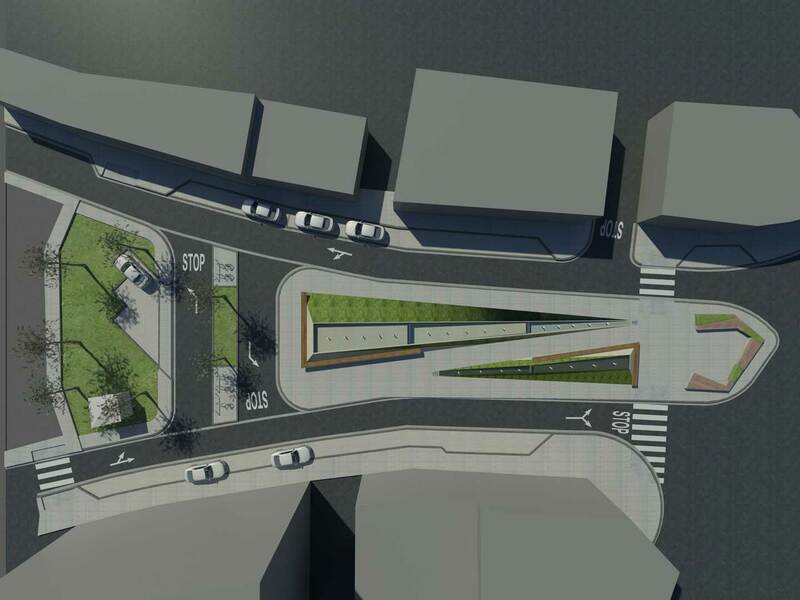 These are employed to minimize visual contact with traffic on the square’s perimeter, to ensure the safe movement of pedestrians and to make the square an identifiable local landmark. 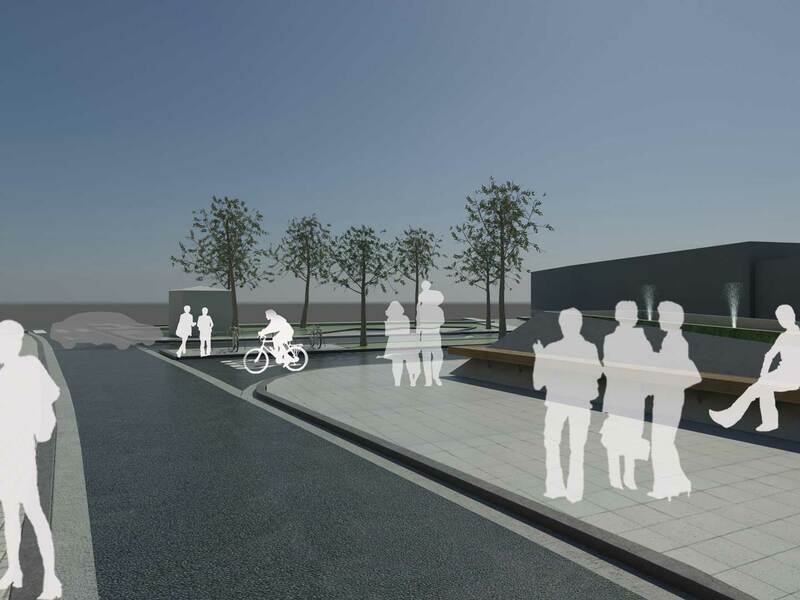 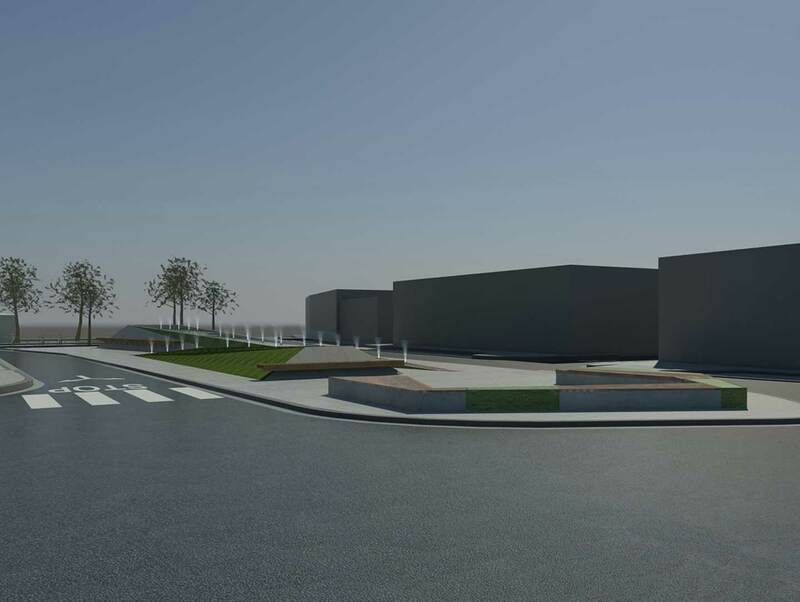 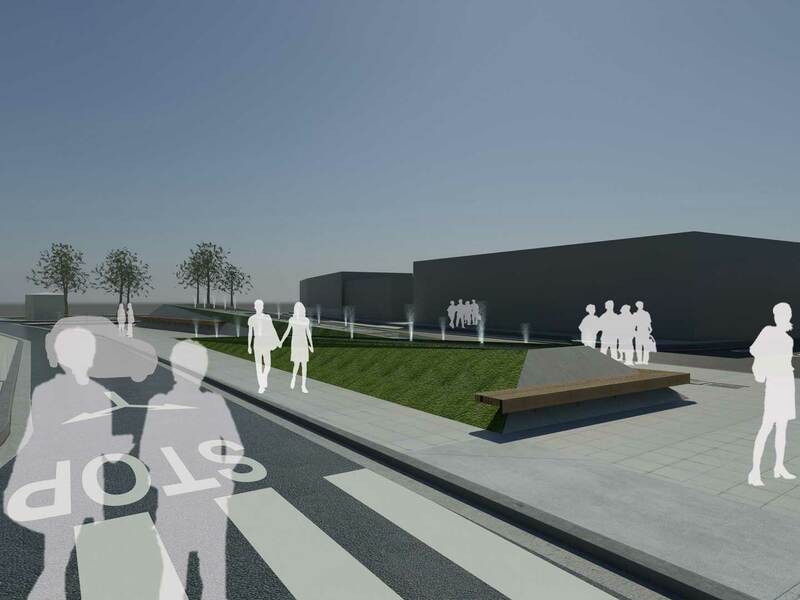 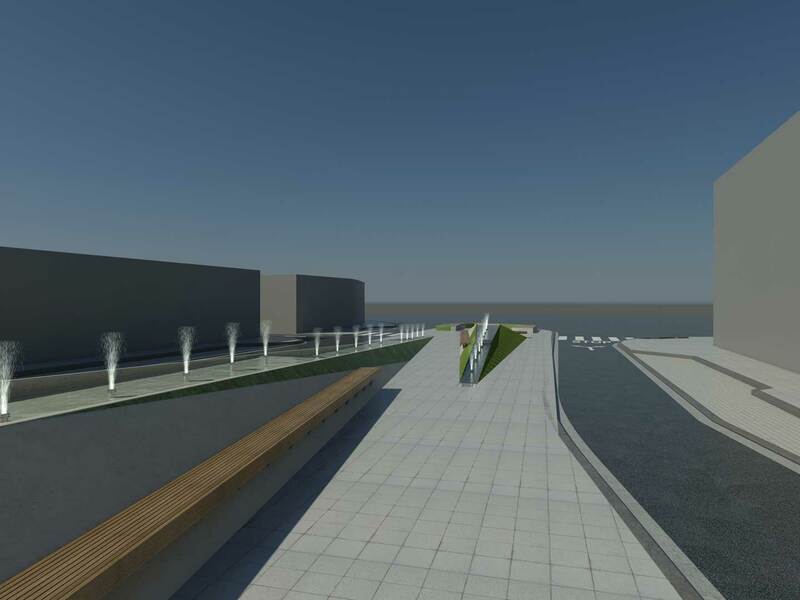 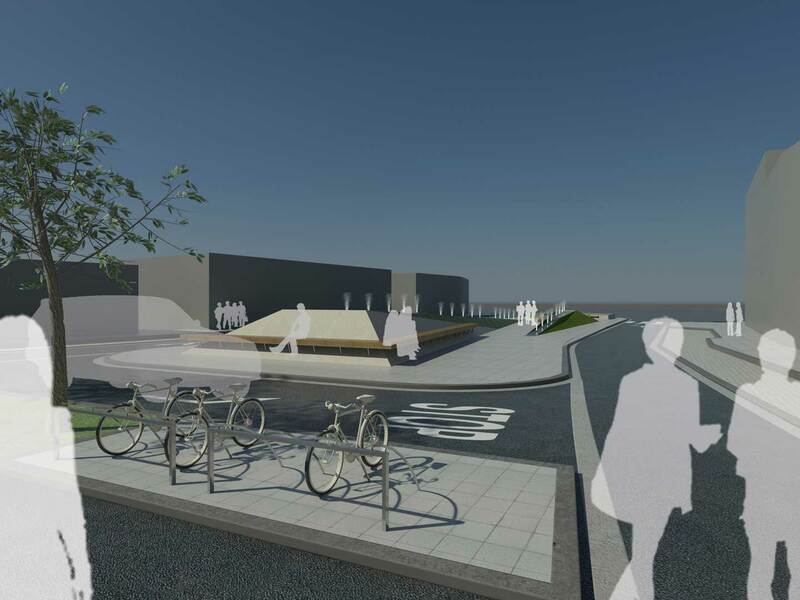 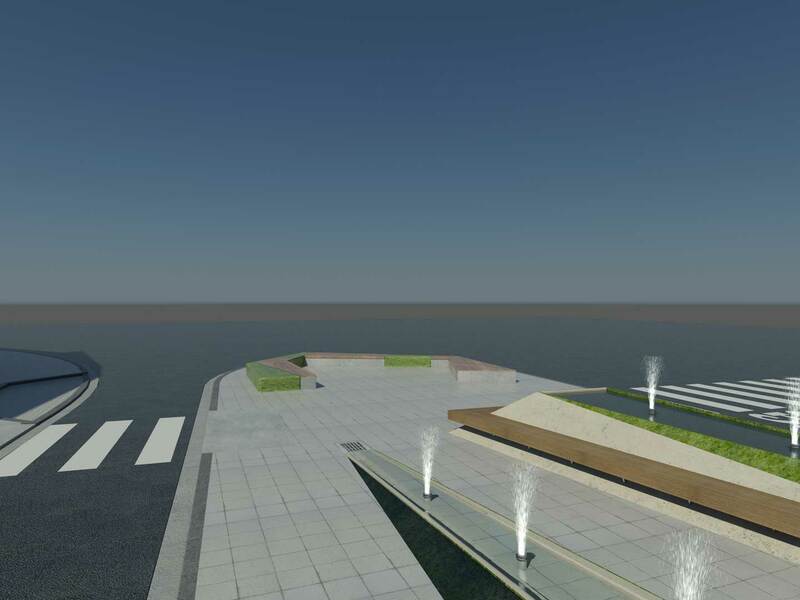 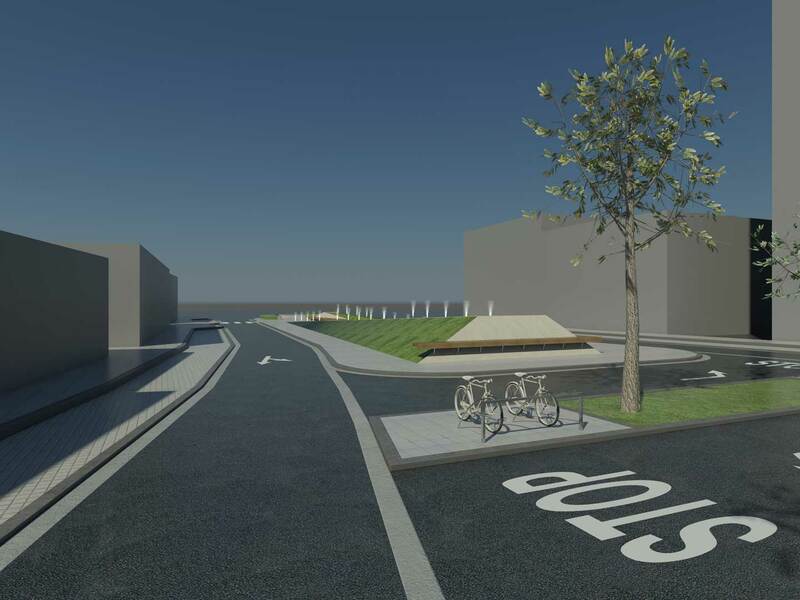 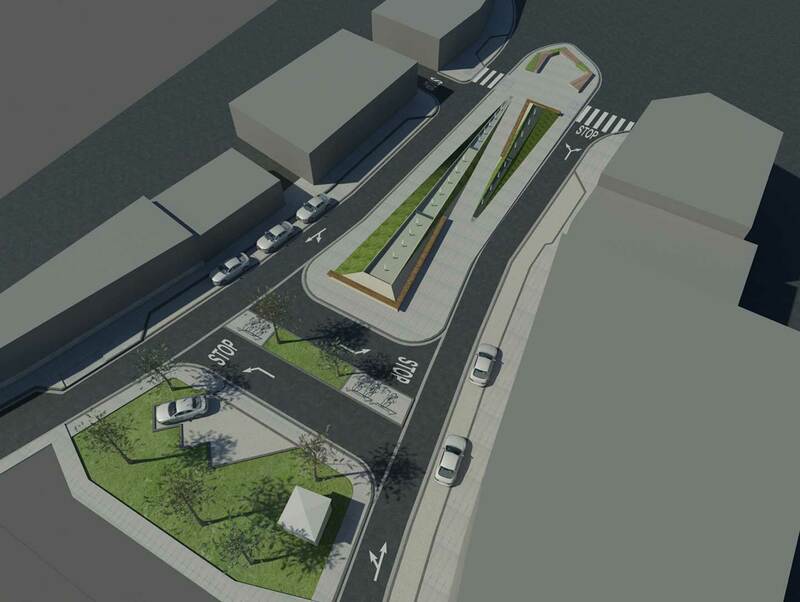 Our landscape design aims to create a pleasant environment for pedestrians walking across the square and a comfortable and functional space for relaxing or strolling the commercial centre of Varkiza.